Tailored, liberated, dressed up. 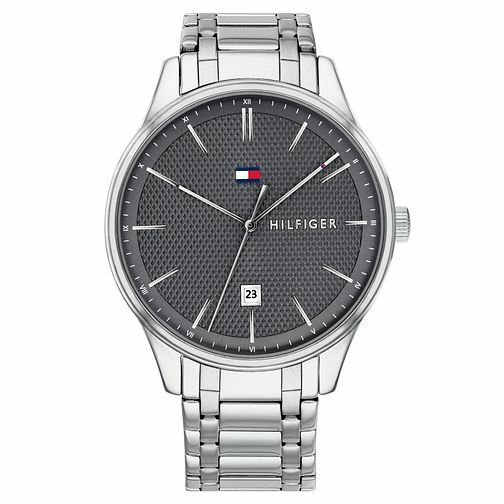 This Tommy Hilfiger men’s watch is offered in a stainless steel bracelet, featuring a stainless steel 44mm case and a 3-hand textured grey dial, complete with date display at the 6-o-clock position. The classic Tommy Hilfiger flag at 12 o’clock adds iconic detailing to this elegant design.